Last but certainly not least you get access to the Social Profit Funnels course, and this course teaches that you can still make money off the Facebook newsfeed with Fanpages with lots of followers and “likes” and I teach YOU how to autopopulate and curate other people’s content legally and ethically in to your own fan pages. Plus I show you how to get tons of likes for .04 per like building an audience quickly and cheaply. Use Social Profit Academy to Promote ANY BUSINESS! Also, inside the Social Profit Academy Suite are dozens of live interviews with “Show & Tell” case studies, bonus monetization trainings for Local Businesses and tips for people who want to promote their MLMs on Facebook. These are explicit over the shoulder trainings, showing people a “reverse engineers look” at our interviewee’s successful campaigns, so you can duplicate their success from what they did. This is like having an “on-demand coach” showing you exactly what you need to do to succeed with my course! Outsource ALL Your Facebook Marketing! I’ve also put together a very detailed training on how I outsource all my Facebook marketing to a team I hired that works out of the Philippines. 5 individuals, completely run my entire business. Out of the 8 steps I use in my method, I do step 1, and my team does the other steps. How would you like a team doing all your work? If you get my course, I’ll train you how to set your business up this way too. No One is teaching This!! I’ll teach YOU how to gather the right targeted audiences using FB Ads, then I show YOU how to provide that targeted audience with what they’re wanting (your product, your webinar, your tshirt, your affiliate or CPA offer) while making money throughout the whole process. And these aren’t methods that the “FB Marketing gurus” have already taught? a matter of fact we don’t know anyone teaching these exact methods! 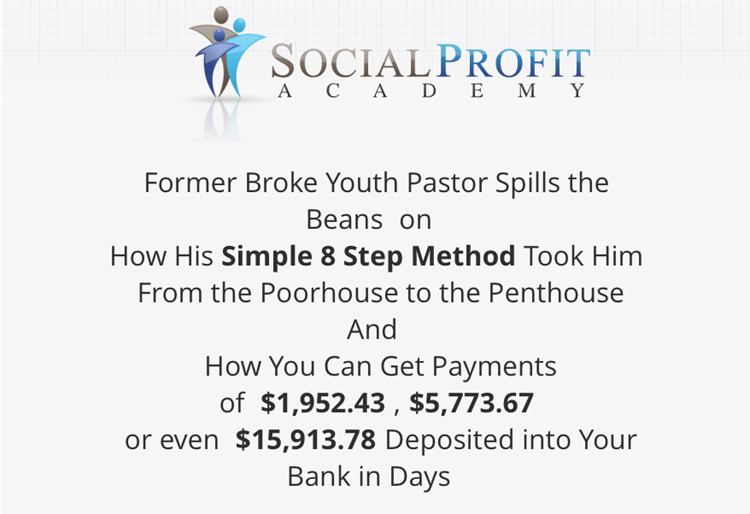 I am going to show you my exact 8 Step System and campaigns that pulled in 6 figures this past year! Life is good, it’s time you joined in the fun! So, are you ready to get started? Just click the button below, place your order and get ready for a fun ride, producing amazing results. Here is a Summary of What You’ll be Getting in S.P.A.
$297 Value Bonus training with 6 Case Studies on Affiliate Marketing Success!